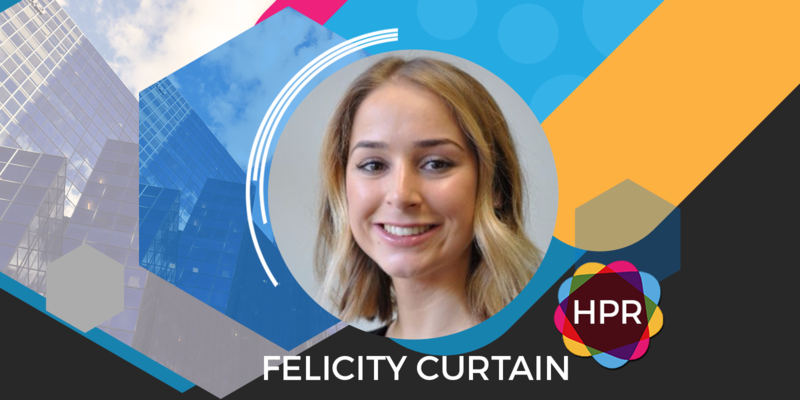 Guest Bio: Felicity Curtain is an Accredited Practising Dietitian, and works as Nutrition Manager at the Grains and Legumes Nutrition Council. Through her role, Felicity manages various research projects focused on understanding the nutritional benefits of grain and legume foods, and communicates these with manufacturers, retailers, the media, and consumers. Felicity is passionate about translating complex nutrition science in an easily digestible manner, to empower Australians to improve their health through good nutrition. Segment Overview: In today’s interview, Felicity discusses about how according to new research shows that fewer Australian are limiting grain foods and also increasing their intake of legumes. Tabethe Moreto: Hello everyone, welcome to Health Professional Radio. I’m your host for the day, Tabetha Mareto. Our guest today is Felicity Curtain. She is an accredited practicing dietitian and works as Nutrition Manager at GLNC. She is very passionate about translating complex nutrition science into an easily digestible manner to empower Australians to improve their health through good nutrition. Today, we’re going to talk about how grains are now back on the menu for Australians and also we’re going to talk about the consumption of legumes that has increased among Australians. This is her second appearance on the show. Without further ado, welcome back to the show Felicity. I’m so glad you can join us again. Felicity Curtin: Thanks Tabetha. It’s great to be back. T: Yes, thank you. So Felicity, I know I asked you this question during the first interview but unfortunately for those who did not tune in for our first interview, is it alright Felicity, can you tell the audience again about yourself in your organization? F: Certainly, Tabetha. Well I’m an accredited practicing dietitian and the Nutrition Manager for the Grains and Legumes Nutrition Council. So we’re a health promotion charity and we really work across the whole supply chain. So we work with growers, millers, researchers, manufacturers and retailers and also health professionals, and everyday Australians really sharing that science and emerging research around grain and legume based food – why they’re so important for our health and exactly how people can include those as part of a healthy diet. T: Excellent. So Felicity tell us more about the good news regarding how grains are now back on the menu for Australians? F: It is great news. So this has come from our consumption study which we commission every few years. So we’ve had a look into exactly what Australians are eating in terms of grain and legume foods and what they’re feeling about that. So basically, what we found is after few years of really going against the grain, people are eating them again. So while three years ago, 60 percent of Australians were avoiding grain foods. That’s now gone down to 47 percent. So we still have a way to go, but it’s really encouraging to see that people are now giving themselves permission to go with the grain again and recognizing that these foods are really important healthy parts of our diet. T: That’s fantastic news, I’m very happy to hear that. So what has happened in the past three years? So what do you think is the reason why Australians are increasing their grain consumption? F: I think previously, so our last consumption study within 2014 and that was really when we were in the depths of the Paleo diet obsession and this low-carb ketogenic diet fascination. And there was also this really interesting going gluten-free without any real medically diagnosed reason to be doing so. And I think people are now starting to understand that there’s no need to avoid grains and in fact you’re actually doing your health a huge favor if you are including those each day, because we know that grain foods have immense health benefits. T: Yes that’s right, I agree with you on that. Remember during our last interview we talked about the benefits of eating whole grains and to tell you the truth ever since our interview, I’ve been eating wheat bread now instead of white bread. F: I’m so glad to hear that and I’m sure your health is thanking me too. T: Yes, it is actually. I don’t know, to tell you the truth I feel much better actually. I don’t know, I feel like I have more energy nowadays, maybe it’s the wheat bread helping me. F: Fantastic. That’s great to hear. T: Yes, thank you so much. So now talk about legumes. What are the benefits of consuming these kinds of vegetables or food? F: So legumes, which you might know as things like baked beans, chickpeas, lentils, kidney beans, some of the longest living populations eat legumes really regularly. So cultures like Mediterranean and Japanese have eaten legumes for a long, long time. And it’s no coincidence that these are some of the longest living populations because we know that legumes are a really strong predictor of a long life. So in fact research shows us that just an extra tablespoon of legumes each day can lead to up to an 8% reduced risk of death. So whether you’re having a chickpea salad, adding some lentils to your Bolognese or even just having some baked beans on toast, we’re really suggesting that people aim to include extra serve of legumes each day, because the benefits of doing so is just so fantastic for your health. T: Yes, that’s true. I hope everybody listening now to Health Professional Radio, you should eat more of your baked beans and eat more whole grains. I’m sure your health will improve. T: Okay, let’s go back to grains a little bit. Okay, so how much whole grains do women and children need specifically? F: Well according to the Australian Dietary Guidelines, we recommended to have about six serves each day mostly whole grains. So that means a serve is around a slice of bread or half a cup of cooked rice, pasta. But at the grains and legumes nutrition council, we try to make it little bit easier to think about and we say try to eat grain foods every day, around three to four times a day. So that could look like, half a cup of muesli at breakfast time, a sandwich with whole-grain bread for lunch and a stir-fry with half a cup of brown rice at dinner time. So it’s really about having good quality serve a few times across the day and that’s going to give you those health benefits that we’ve talked about. T: Yes, that’s excellent. How about men? Do they need the same servings compared to women and children? F: So at GNLC we recommend that all adults aim to have grain foods around three to four times each day and having at least half of those as whole-grain. Because we do know that although those refined white bread, white rice, white pasta, still do have the protein and some of those nutrients. Having the whole-grain version is going to give you that full range of vitamins and minerals. So going for whole grains around three to four times each day is a pretty sure way of getting those benefits in. T: That’s wonderful. Now let’s talk about pregnant women. How much whole grains can pregnant women consume? How much do they need? F: So for pregnant women, we definitely need a little bit more. So during pregnancy, we’re obviously looking after our own health but also the health of that growing baby so we do need more. Now pregnant women generally, we like to say to aim for around eight and a half serves of grain foods each day. So it is quite a bit more but remembering those servings are as small as a slice of bread and half a cup of cooked pasta. So it might be just adding a little bit more, so rather than having one slice a toast at breakfast time, it might be having an extra one and fitting in a few more snacks like whole-grain crackers and cheese and even some air-popped popcorn for a snack is a good one to have. So pregnant women definitely need a little bit more because they’re looking after not only their own health but also sustaining that growing baby’s health as well. T: Yes, thank you for sharing that advice. Actually, I feel hungry now after you made all that delicious food. Thank you. I think I’m going to have a snack after this. F: Me too, it does. It’s hungry work talking about food all day. T: Yes, that’s true actually. Okay. So Felicity it’s wonderful to hear, I’m so happy to hear that Australians are becoming aware about the wonderful health benefits of whole grains and legumes as well. It’s a good thing that they’re increasing their consumption of these delicious and also healthy foods. F: It is fantastic news. And we just hope that people will continue to include these foods because doing so is just such a benefit for our health. T: Yes, that’s my motto. Okay, anyway, so Felicity before we go what is your main takeaway message to all of our listeners out there? What would you like to tell them? F: No need to go against the grain, because we know more and more each day that grains particularly whole grains are so, so beneficial for our health. So aim to include grains, mainly whole grains around three to four times each day. So that’s things like whole-grain breads, pasta, rice, quinoa, couscous, the neverending list. And then to get even more benefits include some legumes. We know that people who eat legumes live longer. So add some legumes to your shopping list and do some research around interesting recipes that you could modify with legumes. Doing those two things for your health is going to set you up for a really long healthy life. T: Excellent message, thank you. I think I’m going to go grocery shopping too. I’ll add them on my list on my next trip. Okay so for those who want to contact your organization, how can they get in touch with you? F: Take a look at our website which is glnc.org.au and you can also find us on Facebook, Twitter and Instagram. So our handle for each of those is grainslegumesnc. We’ve got some fantastic recipe ideas and beautiful images that you can use as inspiration for your dinner tonight. T: Excellent. Thank you so much, Felicity for coming back on the show. I’m very happy. T: And that was Felicity Curtain, Nutrition Manager at GLNC. We’ve just been talking about how Australians are now consuming more legumes as well as whole grains. We also discussed about the wonderful health benefits of these food types. If you liked this interview, transcripts and archives are available at www.hpr.fm. We’re on all social media platforms so don’t forget to follow, like and subscribe. We’re also available for download on SoundCloud and iTunes. I’m Tabetha Moreto and you’re listening to Health Professional Radio.